The non-profit Greater Texas Education Foundation supports two distinctly individual residency programs. West Houston Medical Center Podiatric Medical and Surgical Residency – PMSR/RRA (Previously Harris County Podiatric Surgical Residency Program) was established in 1975 and has maintained a strong reputation based on the accomplishments of its residents and alumni. Of the over 200 graduates, many are now practicing in various states across the country, providing excellent networking opportunities. WHMC continues the legacy by maintaining a rigorous didactic schedule and providing extensive surgical experience to its residents. Alumni and current residents are actively involved in research and are regularly published in scientific journals. The program has won numerous awards for poster and manuscript presentations at the annual scientific meeting at the American College of Foot and Ankle Surgeons. The faculty are involved at the national level with the American Board of Podiatric Surgery and American College of Foot and Ankle Surgeons. Most of the faculty speaks at local, state, national and international meetings and symposiums. In July of 2007, GTEF assumed management of the Kingwood Medical Center Podiatric Medical and Surgical Residency – PMSR/RRA. Based on the same educational model as WHMC, KMC provides excellent training which is reflected by the quality of its recent graduates. The program maintains separate facilities and attending physicians, however KMC participates in academic events, labs and workshops with WHMC. 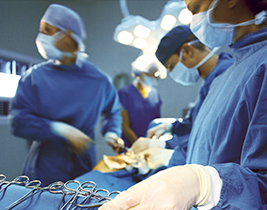 The residents work closely with over 70 foot and ankle surgeons in both clinic and the operating room. This provides excellent perspective to a range of practice and surgical methods. In addition, both programs receive direct training from renowned orthopedic, plastic, vascular and general surgeons. By covering over 4000 foot and ankle cases per year, residents will scrub everything from digital arthroplasties to complex ankle fractures. Both programs are multi-institutional, providing exposure to over 20 hospital and surgical centers. These range from community based hospitals, large teaching hospitals, efficient surgery centers and wound care centers. In addition to orthopedic, plastic, vascular and general surgery, all residents complete rotations in pathology, radiology, internal medicine, anesthesia, neurology and wound management. However the majority of training involves foot and ankle surgery and clinic. Didactic activities include weekly cadaveric dissection labs, clinical case conferences, journal clubs and formal lectures. Residents enjoy a large personal office, complete with media and dissection workshop, medical library and computer lab. Residents receive ample preparation to lecture and participate in continuing education events after graduation. GTEF continues to produce quality graduates and expects a high level of competency from students interested in the program.